Odds are you’ve seen the dozens of travel hack videos and articles out there. I’m sick of the generic tips. That’s why I wracked my brain to come up with 8 totally original travel hacks for you to use to make your next trip epic. Below I’ll show you how to make each one with step-by-step directions and photos. 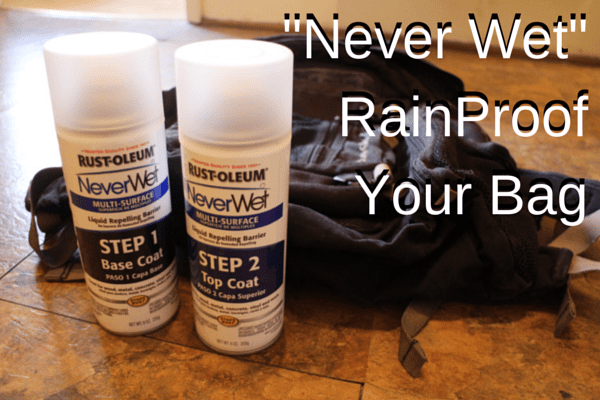 Ditch the nerdy rain cover (that you use) and simply make your backpack water-proof with Rust-O-Leum’s “Never Wet” spray. Simply spray and let dry for a magic layer of water protection. This hack takes, literally, no tools. 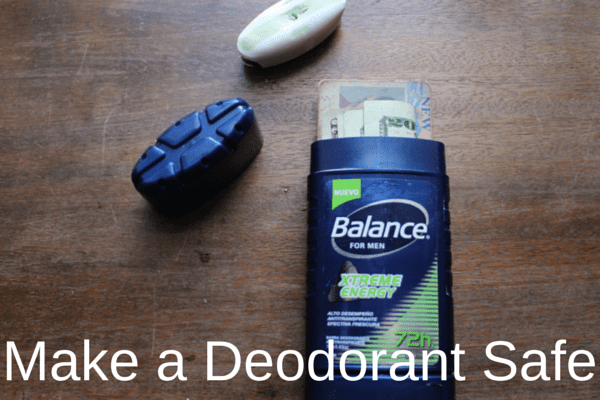 Simply open your existing deodorant, twist it up to remove the top portion, place your valuables (credit card, cash, etc) inside, and replace the top. You can do this with a new deodorant and still have room for most things, but a nearly empty stick has a bit more space.